A Digital Cinema Package (abbr. DCP) is a digital filmprint, with a special data format for picture and sound. Information on prices and procedure of the DCP creation at Digital Cinema Mastering can be found in our pricelist. The specifications for it have been set by the Digital Cinema Initiatives, a cooperation of 7 big Hollywood studios in the “Digital Cinema System Specifications”. The aim was to set up one standard for digital cinema preventing concurrence of different formats which would have made things a lot more complicated when distributing a film world wide. Another goal was to set up a standard with a high security against piracy. The DCI standard is now widely accepted as the successor of 35 mm film, because its open standard, the absence of any license fee, the high security level and the superior image and sound quality. Digital Cinema Packages of feature films are mostly delivered via Harddrives, for trailers and ads the distribution via USB flash drives, DVD-ROM or internet download is also possible. 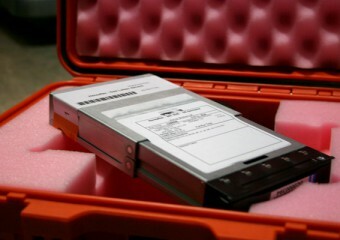 A DCP consists of the media files, a packing list (PKL) and one or more composition playlists (CPL). The information which picture and sound file go together and in which order they sould be played is contained in these composition playlists. Also, if present which subtitles should be shown. So it is possible to store several language versions in one DCP without having to save the redundant information (e.g the picture files) twice, enabling an efficient usage of disk space. Depending on the bitrate a Digital Cinema Package consumes about 1,5 to 2 GB of storage space per minute of duration. Files contained in a DCP. The picture information is being stored as JPEG 2000 compressed still images in a 12 bit X’Y’Z’ colour space. Sound information is stored uncompressed in up to 24bit sampling depth and 48 or 96 KHz sampling rate. File format for both is .MXF . 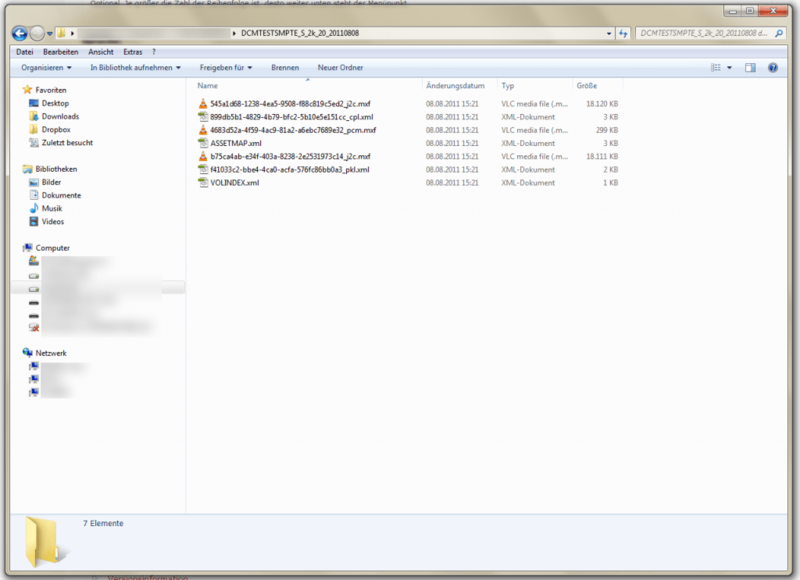 Subtitles have to be converted to the Texas Instruments CineCanvas (C) format and are stored as .XML files.